Bali is a coastal village on the north coast of Crete, about 30 km east of Rethymno and 45 km from Heraklion (airport). It is built on a raised small peninsula so overlooks the bay and the sea. Bali has four beaches on four small creeks and a beach isle. From the village passes the National Road Heraklion-Rethymno (buses run every hour), making access to any part of the island very easy giving the visitors the chance to discover the beauty and history of the island. Today Bali is a modern tourist resort with a wide variety of taverns, restaurants, small shops, diving center, bars, discos, as well as clinic and pharmacy. UPHORIA STONE VILLAS are 3 newly built villas (95 sqm each) surrounded by a large variety of plants and trees. They are located 2 km away from the center of the village Bali and 1.5 km from the beach. 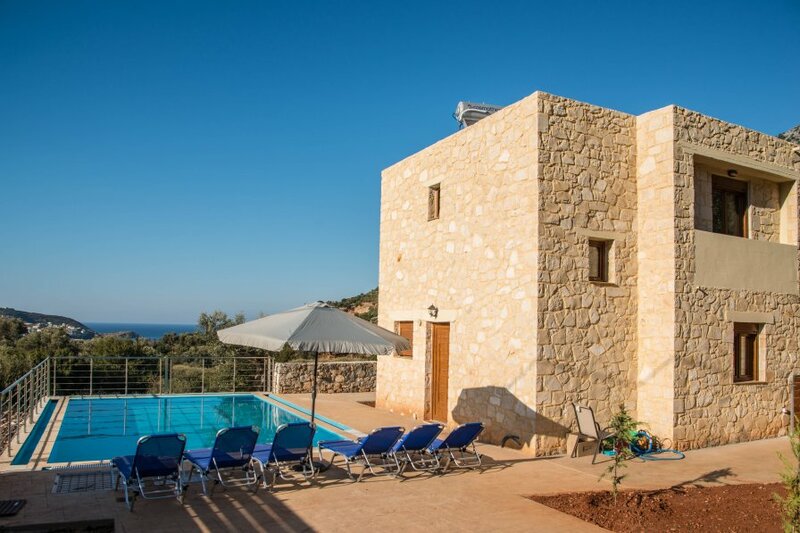 Each holiday villa has its private swimming pool (48sqm), BBQ, Free WiFi internet access, private yard and provides a plethora of amenities and facilities listed below.